A study of the life and Advaita Philosophy of Sri Shankaracharya. Certainly one of the greatest philosophers of India and, indeed, the world, Sri Shankaracharya consolidated the doctrine of Advaita Vedanta in the early 8th Century. Though living only thirty-two years, Shankara brought about a thorough revolution in the social, religious, spiritual and philosophical life and thought of India. He laid the foundations of modern Hinduism on a composite, comprehensive, and all-inclusive universal basis. What exactly is meant by 'Maya'? Is the world unreal? Does Shankara negate the idea of God? These are the sorts of questions that are addressed in this clear and straightforward book. 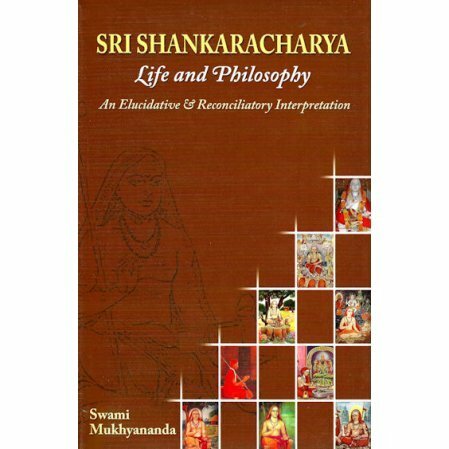 Swami Mukhyananda's liberal approach and careful explanation of key concepts makes this book invaluable to students of Vedanta and philosophy, spiritual seekers and sadhakas, and devotees of Sri Shankaracharya. Swami Mukhyananda is a senior monk of the Ramakrishna Order in Belur Math. His other books include: Om, Gayatri and Sandhya; Vedanta: The Science of Integral reality vis-a-vis Modern Science; and Hinduism: The Eternal Drama.